UF alumni, Lauren O’Hara and Andrew May, met in the Gator Club of Jacksonville and were married in Jacksonville in May. Lauren is a UF College of Education alumna earning her BA in 2008 and MEd in 2009. She is currently the Young Alumni Coordinator for the Gator Club of Jacksonville and serves as a Kindergarten teacher. Andrew earned his BS in 2005 and M.M.E.E. from UF in 2007. He is a professional electrical engineer and VP of Communications for the Gator Club of Jacksonville. https://education.ufl.edu/alumni/files/2017/04/UF_COE_logo_blue-alumni-1030x156.png 0 0 https://education.ufl.edu/alumni/files/2017/04/UF_COE_logo_blue-alumni-1030x156.png 2011-06-22 08:53:592016-05-09 16:02:31A Gator Wedding! GAINESVILLE, Fla. — Entrepreneur Anita Zucker, a 1972 education graduate of the University of Florida, last year challenged fellow alumni who had never contributed to make an annual donation to the College of Education. Zucker, a 2010 recipient of UF’s Distinguished Alumni Award, sweetened the deal by matching such gifts dollar-for-dollar. Today, Zucker is leading by example by pledging $1 million to create an endowed professorship in early childhood studies at the college. Her contribution will generate an additional $120,000 in funds from the Faculty Now incentive program established by UF President Bernie Machen to generate more faculty endowments. Zucker’s is the first gift made to the College of Education through the program. The post’s formal name will be the Anita Zucker Endowed Professorship in Early Childhood Studies. College officials say they will fill the professorship with a top scholar in that academic specialty. Yearly interest earned on the gift will fund groundbreaking research, teaching and clinical programs conducted by the appointed scholar. Zucker’s gift follows the creation of a new interdisciplinary Center for Excellence in Early Childhood Studies in December. 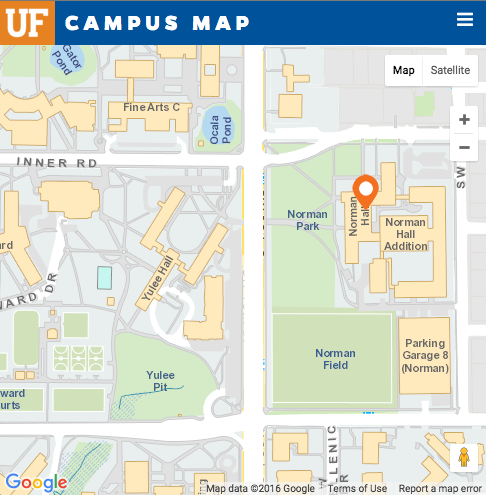 The campuswide center is a model training, demonstration and research site where UF scholars—in fields as diverse as education, medicine, law, public health and the life sciences—work with local, state and national partners to advance the science and practice of early childhood development and early learning. The Zucker professorship becomes the second endowed position in the College of Education’s early childhood studies program. World-class scholar Patricia Snyder occupies the David Lawrence Jr. Endowed Chair in Early Childhood Studies, created in 2007. “Establishing this new interdisciplinary professorship, alongside the existing Lawrence chair, ensures that early childhood studies will remain a strong focus at the University of Florida, and a resource for the state and nation, for years to come,” said Snyder, who was instrumental in mobilizing the university’s top specialists in childhood education, health and well-being to create the new center for excellence. Zucker is a former teacher, a lifetime education advocate, a history-making businesswoman, and one of Charleston, South Carolina’s leading citizens. She and her late husband, Jerry, received bachelor’s degrees from UF in 1972 — Anita in education and Jerry with a triple major in math, chemistry and physics. Anita taught elementary school for 10 years and also has a master’s in educational administration and supervision. When Jerry Zucker died in 2008, Anita succeeded him as chief executive officer of the Hudson Bay Company, North America’s oldest company. She is the company’s first woman CEO. She also heads the family’s InterTech Group company, the North Charleston-based global conglomerate. She raised almost $100,000 last year in her Anita Zucker Alumni Challenge, including her dollar-for-dollar match of nearly $50,000. She says she hopes her latest gift inspires other large contributions to the College of Education. “Education unlocks all doors for the future and we need to provide it to our young people to increase their chances for success,” Zucker said. Adam Hayashi (PhD 2010, Higher Ed Admin) has been appointed dean of the Division of Science and Health Careers at Oakton Community College (in Des Plaines, Ill.), effective July 1. He currently is dean of the College of Central Florida’s Citrus campus in Lecanto. Hayashi grew up in Oakton’s district. On April 30, N.C. governor and UF College of Education graduate, Beverly Perdue, was given UF’s Distinguished Alumnus Award during commencement. Beverly Eaves Perdue is a “double EduGator” with two education degrees from UF. She earned a master’s degree in community college administration in 1974 and a doctorate in educational administration two years later. She also has a bachelor’s degree in history from the University of Kentucky. “Bev Perdue’s achievements as a long-time public servant, a champion of education and now as governor of North Carolina certainly make her one of our most illustrious and accomplished graduates,” said Catherine Emihovich, dean of UF’s College of Education. This past Saturday UF alumni and education leaders in the Miami area met together for the UF College of Education’s first annual UF Education Leadership Session. The event was held to showcase the impact the UF College of Education and its Lastinger Center for Learning are making in Miami-Dade schools. Guests were able to hear and see – firsthand – the positive happenings occurring in the community’s schools and network with friends and neighbors who are making a difference in education. Scroll down to see photos from the event! Attention COE Alumni: How are you using your UF education degree? Send us a photo, video, or story and let us know how you’ve been using your degree from the UF College of Education! We love to hear what EduGators are doing with their education, and how their degree has impacted their life and career paths. We are currently posting these updates to the College’s website and we would like to add your update to the page! Please send us photos, stories and links to videos that let us know how you are using your UF College of Education degree. Send your photos, video links, and stories to education@coe.ufl.edu. https://education.ufl.edu/alumni/files/2017/04/UF_COE_logo_blue-alumni-1030x156.png 0 0 https://education.ufl.edu/alumni/files/2017/04/UF_COE_logo_blue-alumni-1030x156.png 2011-05-19 11:06:302011-05-19 11:06:30Attention COE Alumni: How are you using your UF education degree? Here are the latest submissions to our Zucker Alumni Challenge. Take a look and see why these EduGators have decided to give back to the college. With the Zucker Alumni Challenge, every dollar you donate is matched by fellow EduGator and alumnus, Anita Zucker. An athlete-turned-educator and a rising star in an award-winning master-teacher training program at the University of Florida have been named the UF College of Education’s 2011 Outstanding Young Alumni. 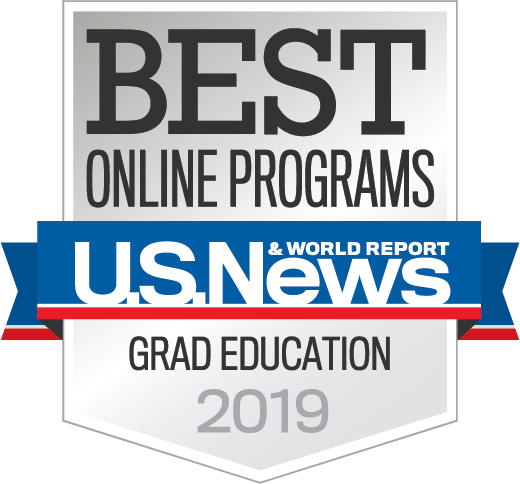 The recipients are David Horton (PhD ’09), a former college baseball standout who now stands out as an instructor and researcher at Ohio University’s School of Education, and Philip Poekert (PhD ’08), a professor-in-residence for Miami programs at UF’s renowned Lastinger Center for Learning. The UF Alumni Association established the Outstanding Young Alumni Award in 2006 to recognize alumni who are 35 or younger and have distinguished themselves in their profession and community. Here are profiles of the two 2011 recipients . . .
Poekert, a 2008 doctoral graduate of UF’s College of Education, is a clinical assistant professor in the college’s school of teaching and learning and a UF Lastinger for Learning professor-in-residence in Miami. He began his teaching career in the South Bronx as a Teach for America instructor, but today he is a leader in two UF programs in south Florida that are on the cutting edge of education reform. Poekert, 31, directs Ready Schools Miami, which partners UF’s Lastinger Center with Miami-Dade County schools and local community groups to ensure at-risk children enter school healthy and ready to learn. He also coordinates the center’s Florida Master Teacher Initiative, an on-the-job professional development and advanced degree program in education for teachers in Miami‐Dade and across the state. Poekert recently co-authored a successful $6 million federal grant to expand the Master Teacher initiative, offering a new degree track in early childhood education. His group was one of 49 winning applicants, beating out more than 1,600 others nationwide for a share of the stimulus funds. “This is the area where we can generate the highest return,” Poekert said. “We can literally change the trajectory of children’s lives,” said Poekert, who previously taught in public schools in Oakland, Los Angeles and West Palm Beach before pursuing his UF doctoral degree. The National School Reform Faculty organization recognizes Poekert as a national facilitator. His research includes evaluation studies of the impact of collaborative professional development on the instructional practice at the early childhood and elementary level. He has published in several national and international journals, including Teacher Education Quarterly and Professional Development in Education. Shortly after David Horton Jr. received his doctorate in higher education administration from UF in 2009, a search committee for Ohio University’s counseling and higher education department hired him as an assistant professor, impressed by his potential as an outstanding scholar. Within two weeks of his appointment, the committee was proven right when Horton won the 2009 Outstanding Paper/Dissertation Award from the Southeastern Association for Community College Research (SACCR). He also was the SACCR’s featured speaker at its annual conference that year. Horton, who played baseball at the junior college and community college level in Texas, wrote his dissertation on the academic performance of community college athletes, a topic seldom studied. Research on college athletics typically focuses on four-year institutions. At Ohio University, his teaching and research areas include the organization, governance and funding of higher education, multicultural development, diversity in higher education, the persistence of community college students, and the academic success of student-athletes.